Discussion in 'Tutorials' started by avelys, Jul 3, 2017. In this tutorial we will be covering the steps on how to clean manga. The cleaning process largely depends on what kind of raw you will be using, for the purpose of this tutorial we will be working with scanned raws that require more steps. Cleaning digitals is a little easier and will be covered later on. 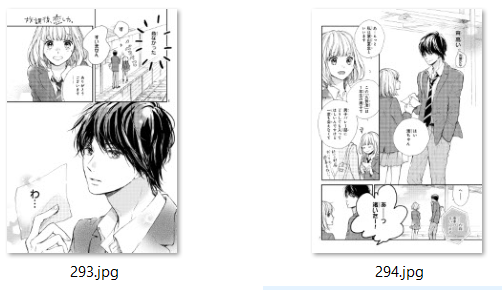 As you can see, other than the difference in the file extension (.jpg vs .tiff--ignore this for now), visually they are very different. The scanned raw needs rotating, cropping and leveling. The digital raw looks like it's already been rotated, cropped and leveled. 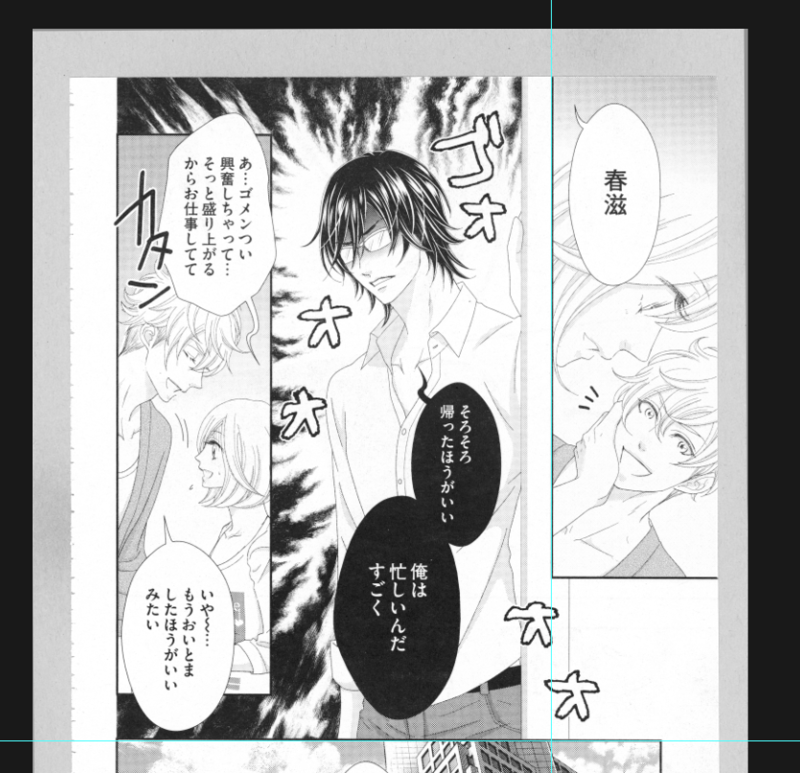 Ideally, you'll want your scanned raws to look like a digital. But even digitals need a little TLC. 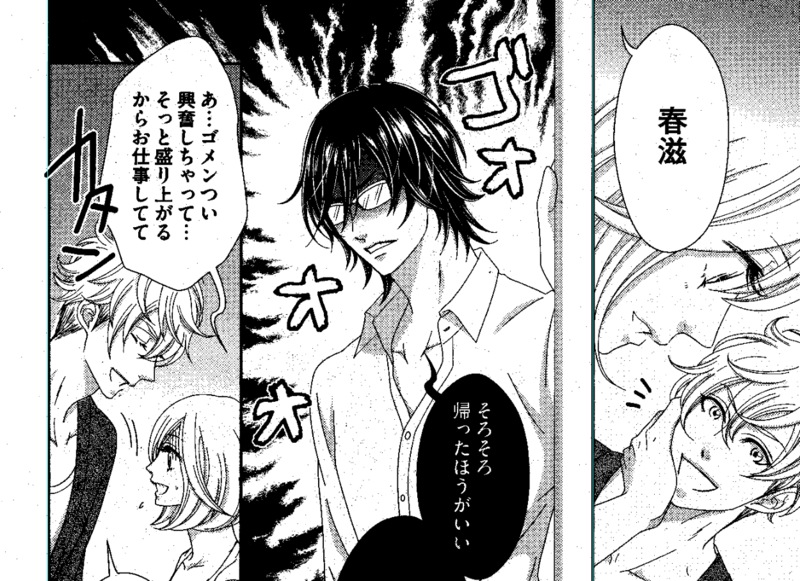 Now that you've seen the different types of raws, let's begin. Let's start our tutorial working on this raw. Here is the download link for this page: here. As you can see, the file extension for this is .tif-- usually you'll be working with a PNG file, since I normally prep the raw for you after I scan it so it makes cleaning easier, but for this tutorial, I'm going to explain how to prep it. First, you're going to change the format from tif to png. 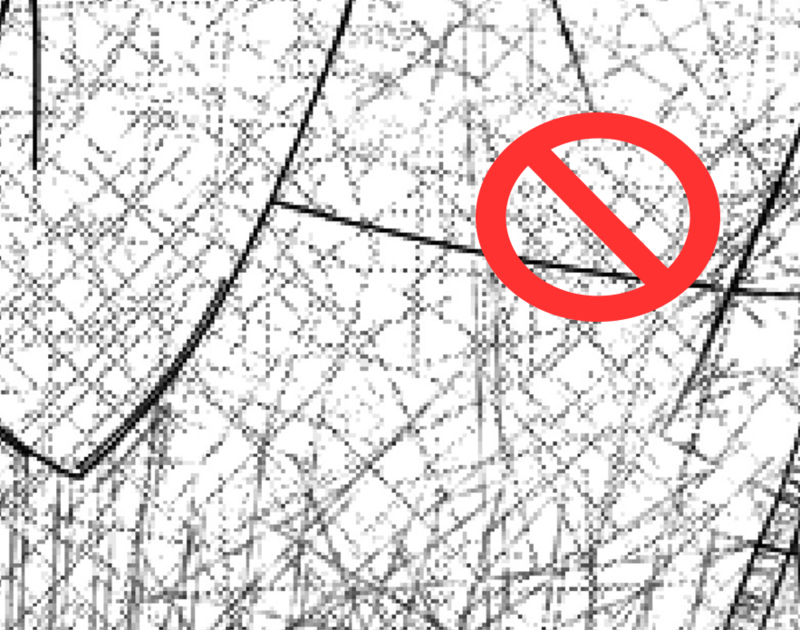 You can just click save as "png". 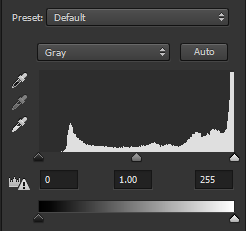 Then you'll check the image mode and make sure it's set to grayscale. and you'll see this ruler pop up. Click on the numbers and the blue line will appear, just drag it down to your desired location. 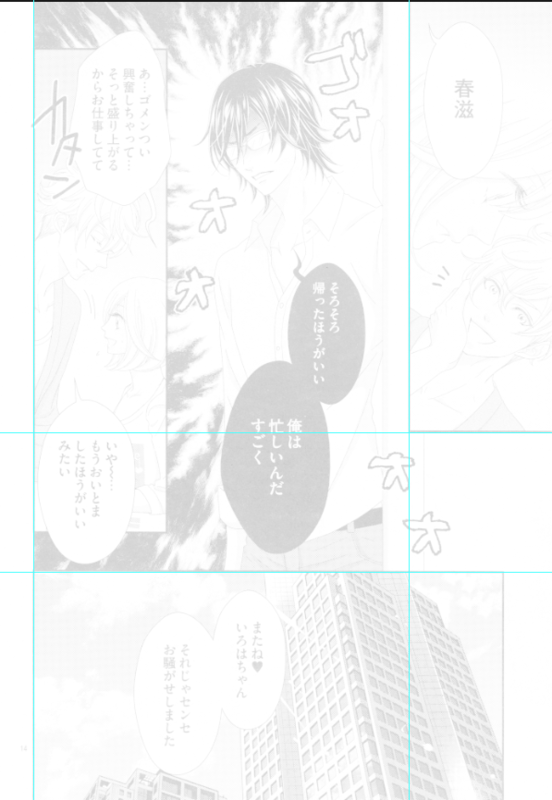 Try to match it along a panel for reference of where to straighten it. You can also drag the ruler vertically if you look on the left. 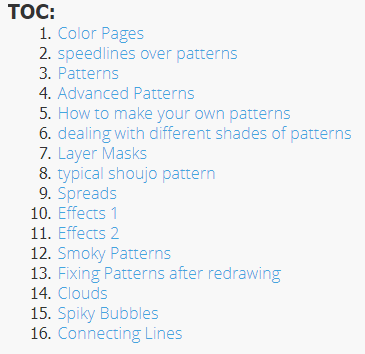 You can make as many guidelines as you need to help you get the page perfectly straight. You can re-adjust the lines if needed by pressing the select tool. 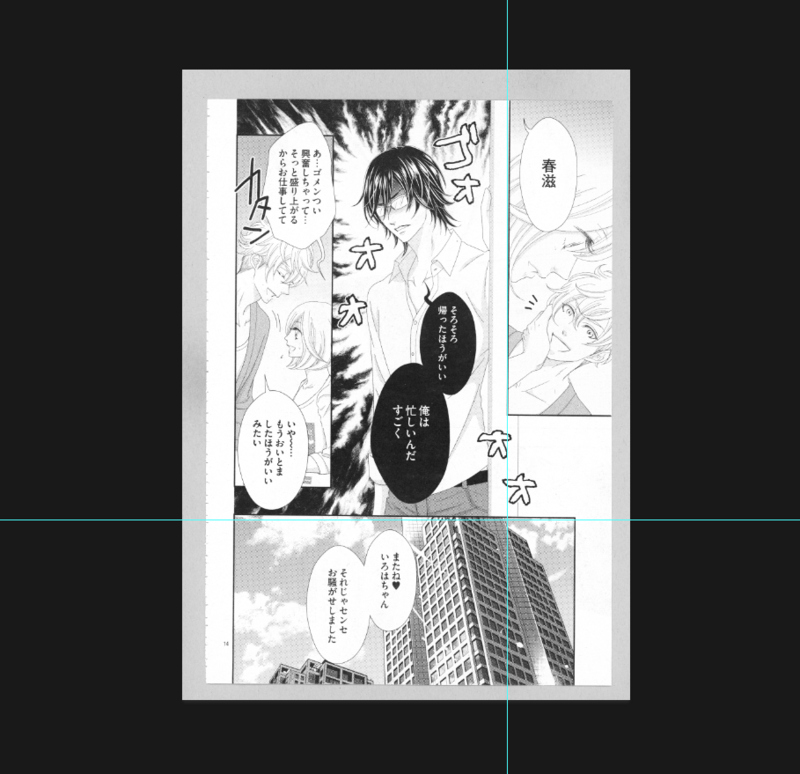 After you're sure it's perfectly aligned, now it's time to crop. You can use the cropping tool. Then just press "enter" and it will crop it. I usually double check if it's perfectly aligned. by adding more guidelines. 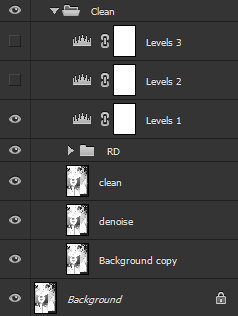 Now let's look at your layers, on the right side of your photoshop file. If you don't see this, click on "window" then "layers". Or press F7. 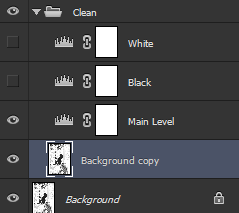 We are going to duplicate the background layer. 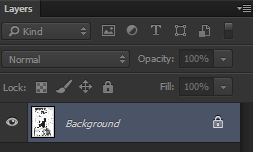 Never touch the original background layer. It'll always be in the background. 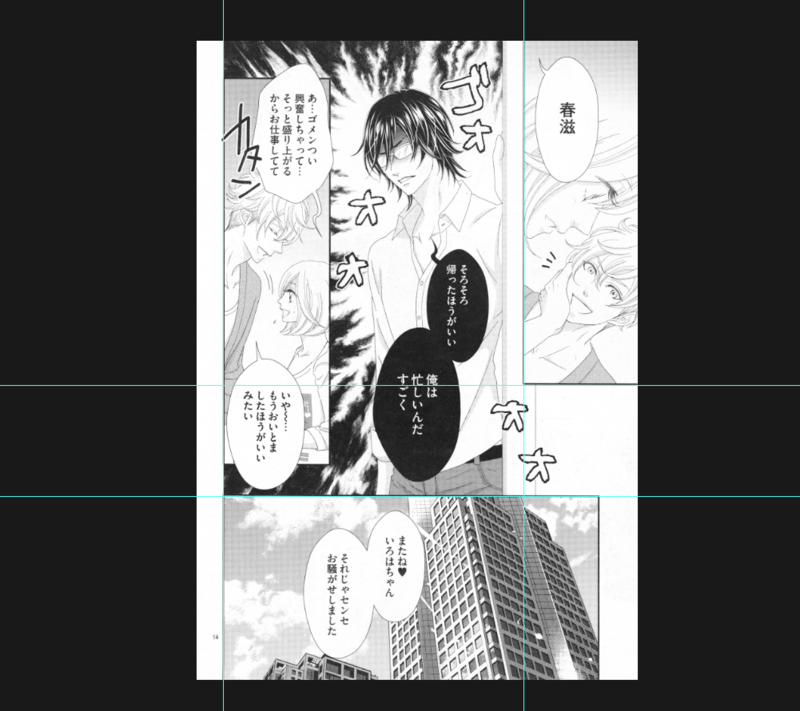 This will be useful for the typesetter and quality checker later to make sure the typeset is as close to the original as possible. Next we're going to add the levels. There's three level layers. 1 will be our main level and the other two will be used for guidance. 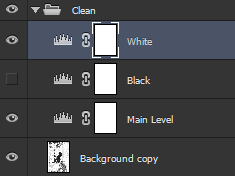 Stack them on top of each other for now, then rename the by double clicking the layer. Click the middle arrow, where it says 1.00 and drag it all the way to the right. Looks bad right? This is what leveling will fix. 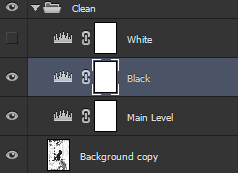 Now beside the "White" level layer you'll see an eye icon. Just click it for now to hide the layer for now. Like I said it'll be used for reference later. 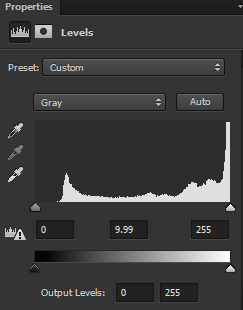 Now let's look at the level layer called "Black". If you look at the image, it will look like this. If it doesn't look like this, make sure the "White" level is not activated, so the eye icon is turned off. 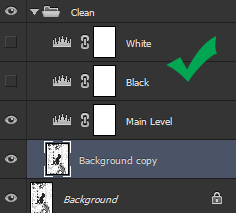 If it does, just select the layers from "White" to "background copy" and drag it to the clean folder. 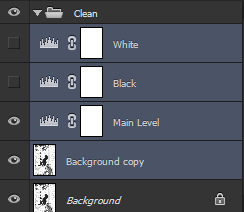 Do you see how the layers are more to the right than the bottom "background" layer? That means it's inside the folder. Now that we have that taken care of, we'll be working with the main level right now. Move the left arrow slightly to the right to darken the image. Then drag the far right arrow and move it slightly to the left to lighten the image a bit. Leveling greatly varies on the type of raw you have and can be very subjective. Just try to not over-level, which makes the page lose it's detail and the colors seem slightly off. 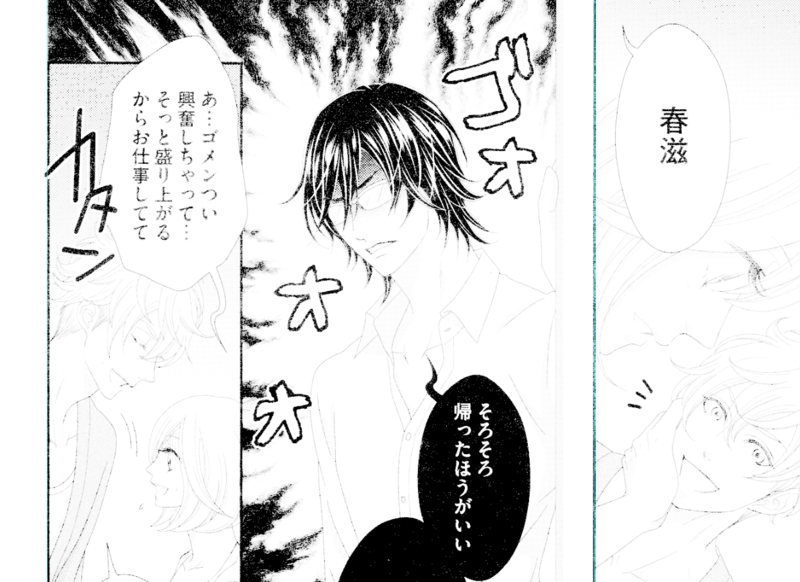 The character lines are almost barely visible. You don't want to make the image too dark either (over burning). The image looks really unnatural, ugly looking gray. 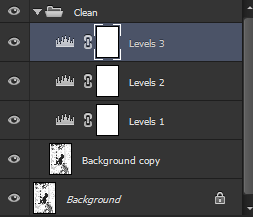 Now that you're satisfied with your leveling in the "Main Level" layer, let's activate first the "White" level. Don't de-activate the main level layer. Do you see how on the white areas there's some black dust? You're going to want to remove the dust. There's multiple ways to make dusting easier, one by auto-dodge and another by using photoshop plugins such as Topaz. Now, de-activate the white layer and active the black one. Lets look at our image now. Do you see the white dust, especially on the black bubbles? We're going to have to eliminate that as well. Now that you're aware of what the dust is, we can start the next step. Pending. 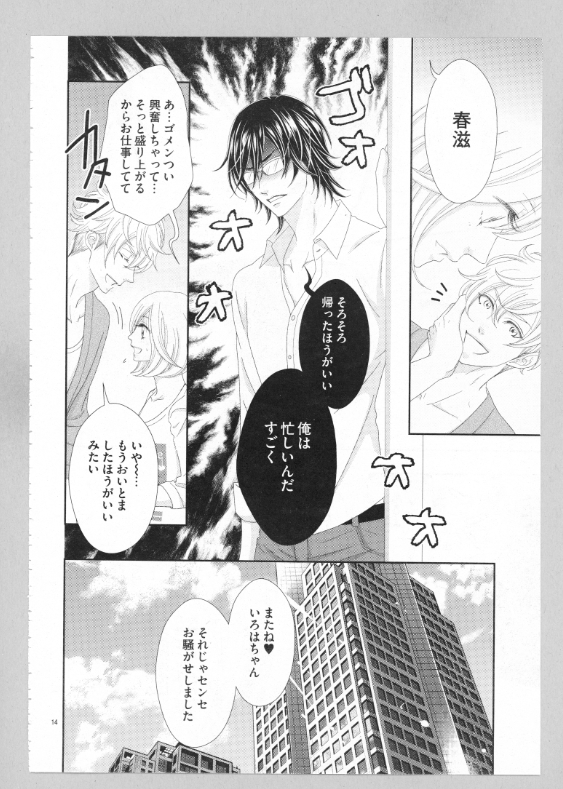 You can view this video done by our friends at Transcendence Scans for now. You'll be needing Topaz Plugins, download them by clicking here. 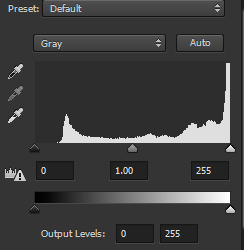 Note: Using Topaz Plugins can be done before leveling, really up to your preference. Will go into more detail later. This step needs a tutorial all on its on. 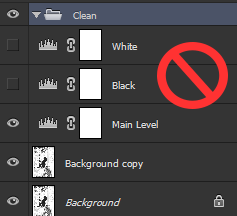 If you're not familiar with redrawing, you can skip this step. 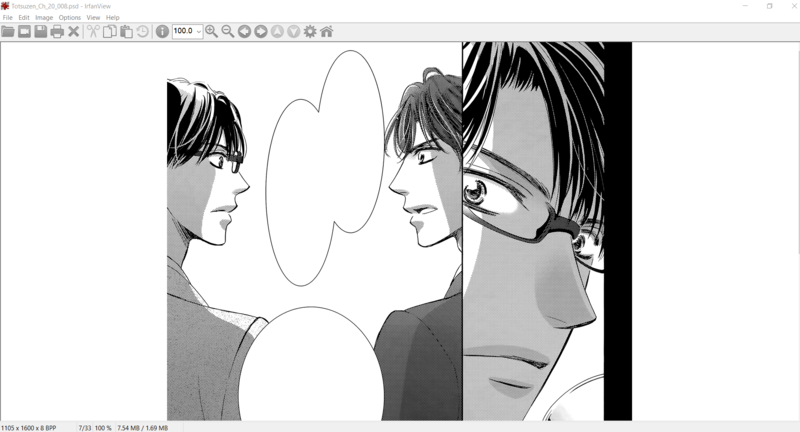 If you're interested to learn how to redraw, you can check out this tutorial by Redhawk Scanlation. 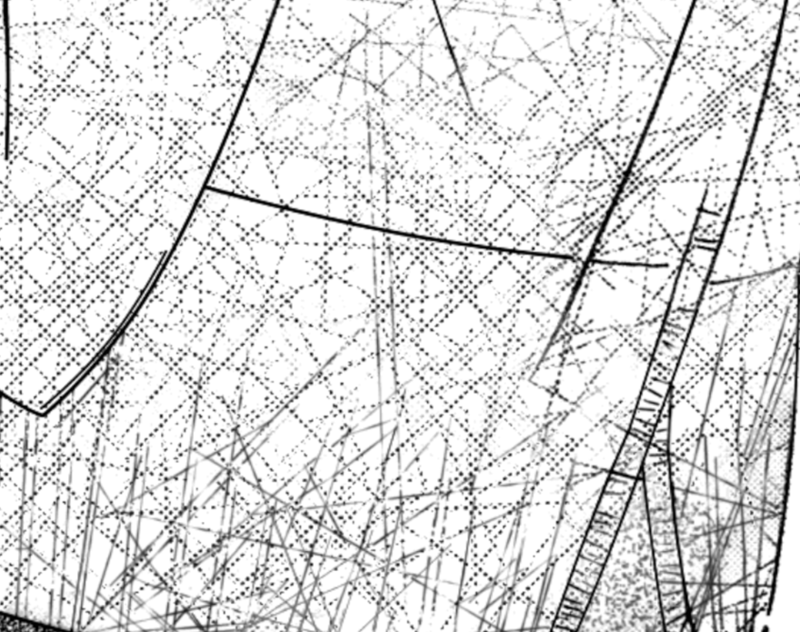 This is an extremely important step as it helps preserve the patterns and details that could be easily lost in the resizing process. You will close the folder to make things easier and duplicate it. The original clean folder will be saved for Quality Check purposes. So you don't need to worry about that one right now. Just press the eye icon to hide it for now. Our focus now is the clean copy folder. 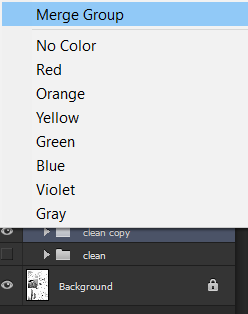 Then merge group for the duplicated "Clean Copy" folder. Note: If you're curious on the difference between what the final product will look by merging vs not, here is a comparison psd. 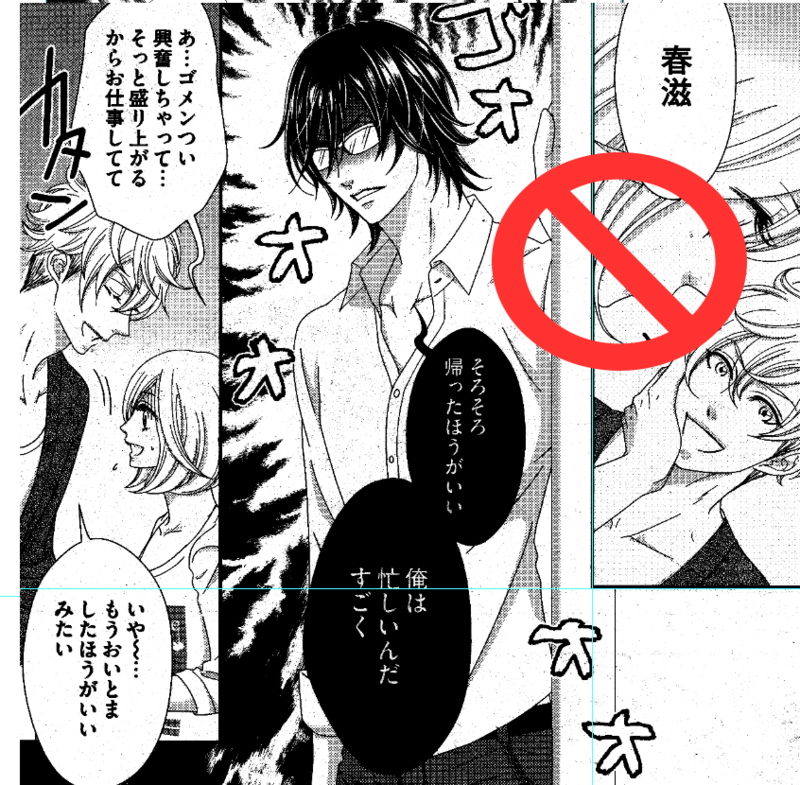 Now, go to image> image size and proceed to size UP. This step is important for the preservation of the details. You don't have to adjust the width. 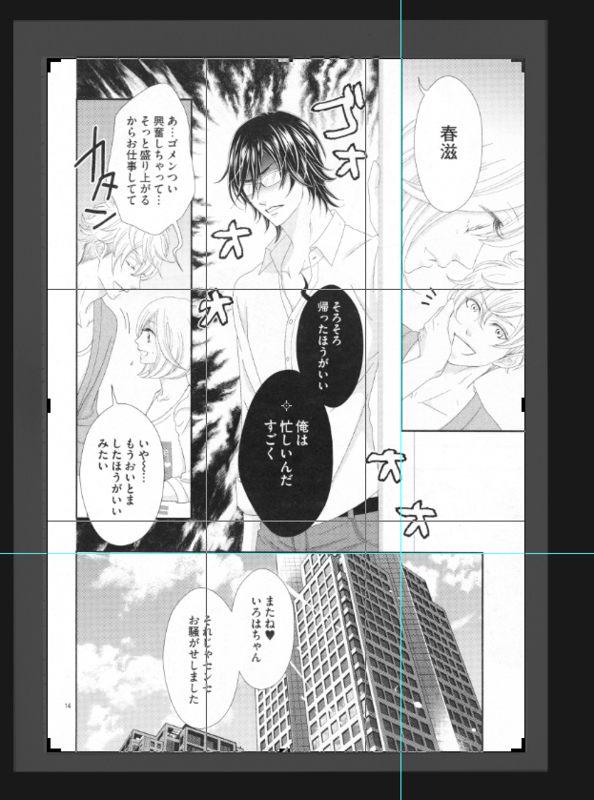 By inputting "8000" in the height, the width will automatically adjust. Make sure it's set to pixels. As long as this button is pressed, both the width and height will be tied together. If you deselect this, only one aspect will change while the other will remain the same. You don't want this. 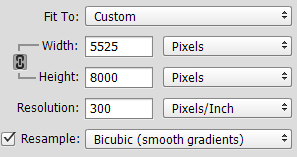 Now before pressing "OK", make sure you set it to Bicubic smooth gradients. Then we will size down to the preferred final release size. 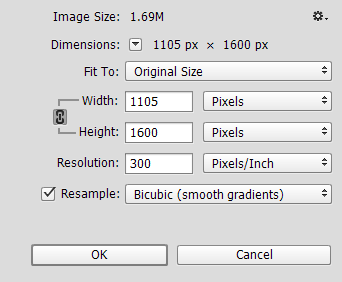 Here at our group, we prefer our final release size to be 1600 px height. Thanks for taking the time to read this tutorial. 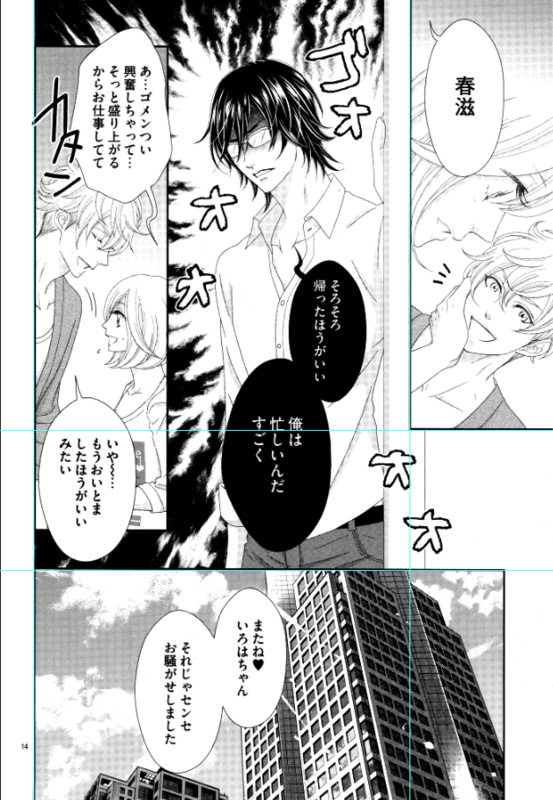 I have a sample of what the final version should look like if you wanted to check it out for reference. 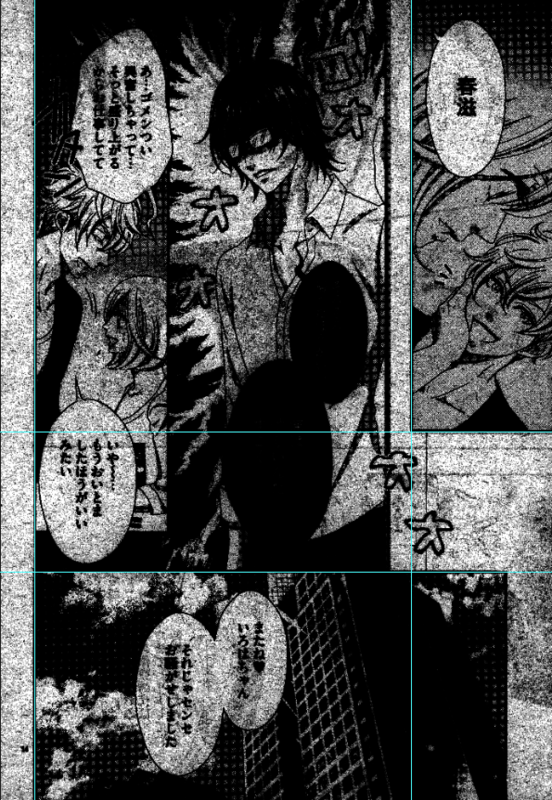 This is a cleaned page from a different series. It's been cleaned, redrawn and some Topaz was used on it. Beautifully done by one of our cleaners, Rizla. Here is a link the the psd. You're going to need Irfanview to preview your finished products. It's a great application that lets you view your photoshop files as if they were images, which makes it easy to preview. 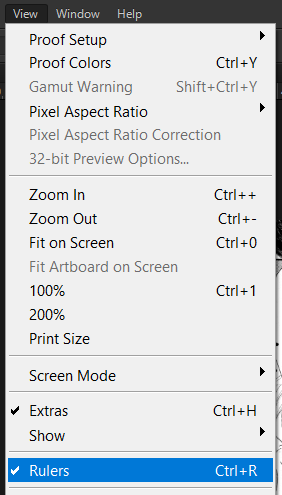 Check if you cropped everything correctly and the images are all 1600 px height. You can view the size details at the bottom left of the image below.